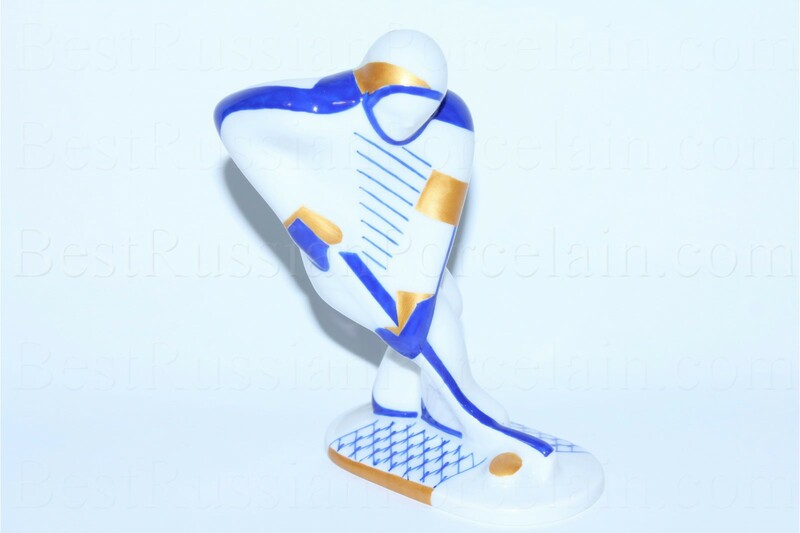 Sculpture Ice Hockey Player, pic. Cobalt Net big size, made by the Imperial (Lomonosov) Porcelain Manufactory of hard porcelain with underglaze hand painted. The author of the picture: Mikhaylova A.